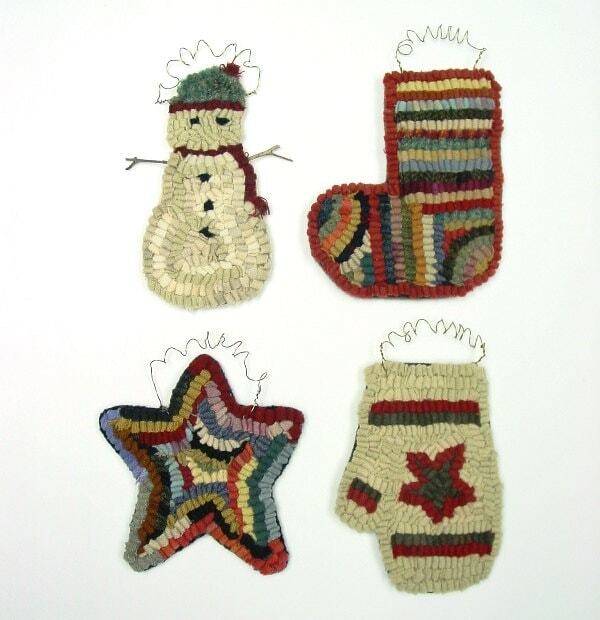 This listing is for the rug hooking pattern "Four Christmas Ornaments" on your choice of cotton monks cloth or primitive linen. 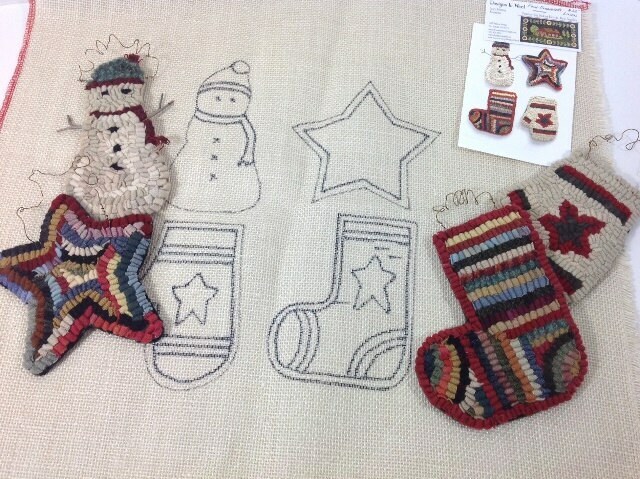 This is for the PATTERN ONLY, not the finished ornaments. You will receive a 4" x 6" photo with purchase along with instructions on how to finish them after hooking. It does NOT include instructions on how to hook. These ornaments measure between 3" x 5" to 5" x 5". 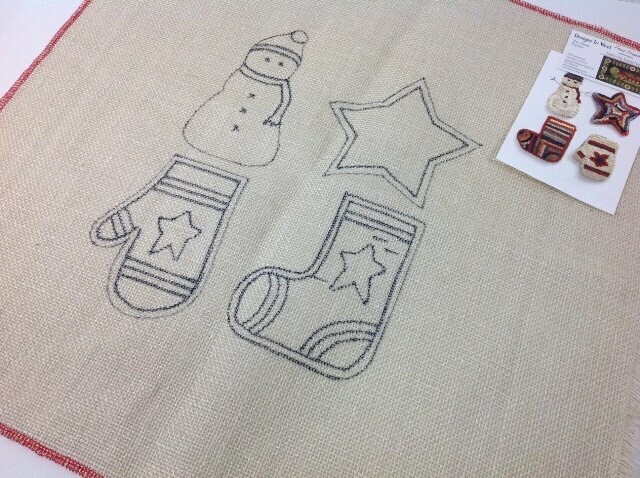 Included are a Snowman, Star, Stocking and Mitten. I hand draw each one on the backing fabric of your choice. The backing fabric measures approximately 20" x 20". 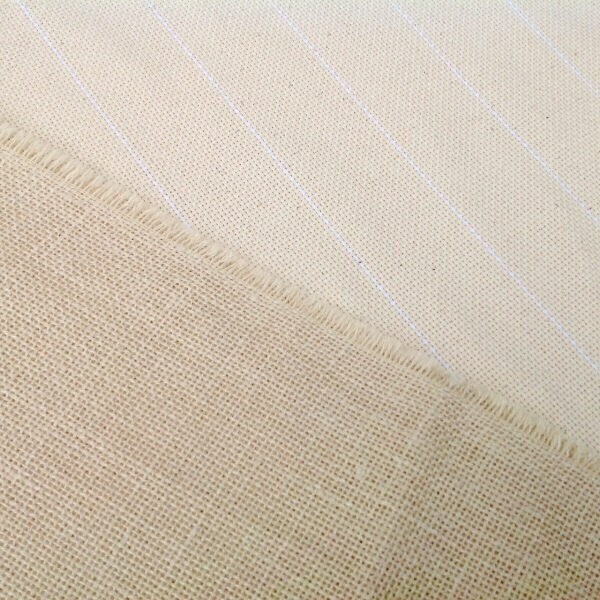 The raw edges of the backing fabric have been serged to prevent raveling while hooking. The finished samples in the first photo give you an idea of how I hooked them. I love to use my leftover strips, which I call "noodles". I picked out whites and dirty whites for the snowman and mitten and a lively mix for the stocking and star. These patterns are such a fun small project and will hook up quickly. I like to hang mine on my Christmas tree, but they also make a great hostess gift. My girlfriend gave a Christmas party and tied one of these to the back of each chair as a gift to her guests. They looked adorable. Great!! Very pleased with this purchase. Perfect! I already have them finished... Thank you! Your wool is VERY nice too!